LINKÖPING, SWEDEN- SEPTEMBER 16, 2016 – Grammy® Award-winning band Ghost have declared the arrival of a new EP entitled Popestar, available today online and in record stores on CD, vinyl, and digital via Loma Vista Recordings. The surprise five-track offering features leading psalm “Square Hammer”, a new original track which was debuted earlier in the week on Sirius XM’s OCTANE as part of a week long global rollout. The EP also contains interpretations of selections by Echo and the Bunnymen, Simian Mobile Disco, Eurythmics, and Imperiet. Popestar was recorded by Papa Emeritus III and his nameless ghouls in Linköping, Sweden and produced by Tom Dalgety (Pixies, Royal Blood, Opeth). To purchase Popestar now, click HERE. 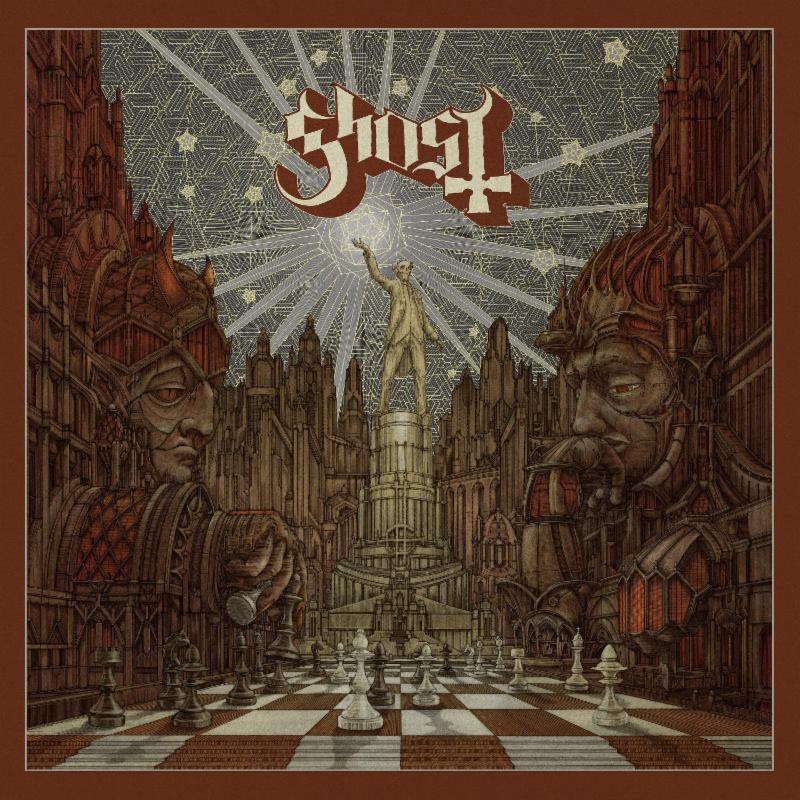 Additionally, today Ghost have released a Deluxe Version of Meliora, their acclaimed 2015 Grammy®Award-winning album. Meliora Deluxe contains the Popestar EP as a bonus disc (CD or LP or digital). To purchase Meliora Deluxe, click HERE. Ghost have released a music video for “Square Hammer”, directed by Zev Deans. To watch the harrowing clip now, click HERE. The arrival of the Popestar EP coincides with the launch of the band’s 41-city U.S. headliningPopestar Tour which kicks off tonight in Rochester, NY. Tickets purchased for certain shows will include a digital download of the Popestar EP. See below for a complete list of rituals and for more information on upcoming dates, visit www.ghost-official.com. Ghost were awarded a Grammy® earlier this year for ‘Best Metal Performance’. Their most recent album Meliora was released on August 21, 2015 and debuted at No. 1 at Independent Retail, No. 2 at Rock, and in the Top 10 (#8) on Billboard’s Top 200 Album Chart. The band capped off a landmark 2015 with their late night television debut on the Late Show with Stephen Colbert’s Halloween show on CBS with a rousing performance of their offering “Cirice”, which reached No. 3 at radio at Active Rock and Mainstream Rock.